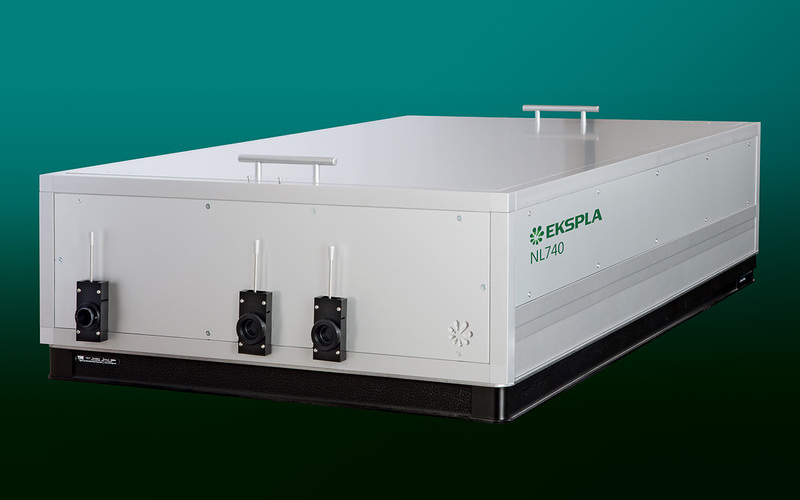 The main feature of NL740 series is the output of ultra-stable tunable duration (2 – 10 ns) narrow bandwidth nanosecond pulses based on temporally driven CW diode laser seeder and amplification stages. Start of the system is the single mode DFB laser with temporal output power modulator. Such front-end ensures reliable generation of SLM mode that is highly beneficial for formation of low temporal modulation ultra-stable pulses. Then light is amplified in diode pumped regenerative amplifier in order to reach energy sufficient to amplify in diode pumped amplifiers. Power amplifier is a chain of double pass amplifiers where pulse is amplified up to 100 mJ energy at 100 Hz repetition rate. Before amplification spatial beam shaping is employed in order to get flat top shape at the output. The harmonic generators are based on angle tuned nonlinear crystals placed in a heater. All diode pumped design ensures reliable operation of system at high repetition rates as well as simple and convenient maintenance. Harmonic outputs are not simultaneous; only single wavelength beam is present at the output at once. Manual reconfiguration is required to switch wavelength. 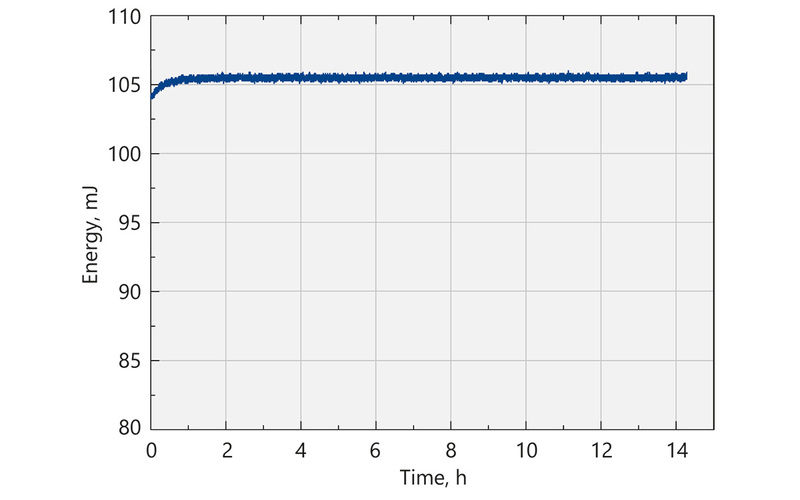 Standard deviation value averaged from pulses, emitted during 30 sec time interval after 20 minutes of warm-up. FWHM. 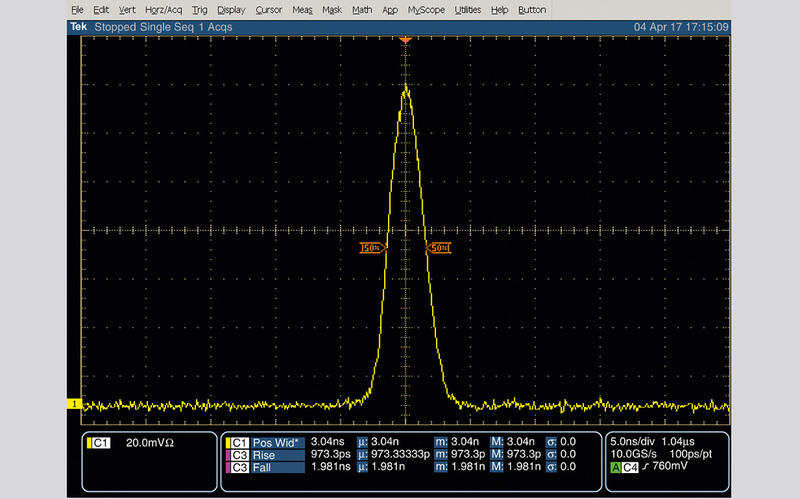 Measured with photodiode with 100 ps rise time and oscilloscope with 600 MHz bandwidth. 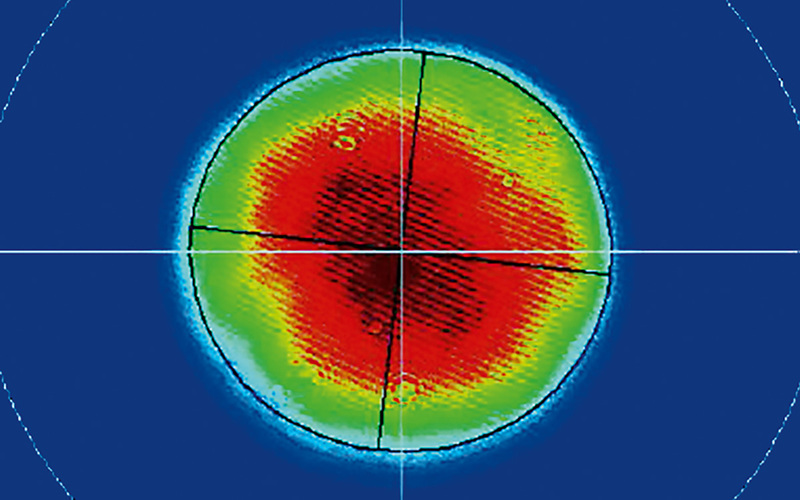 Beam diameter is measured at 1064 nm at laser output at the 1/e² level.